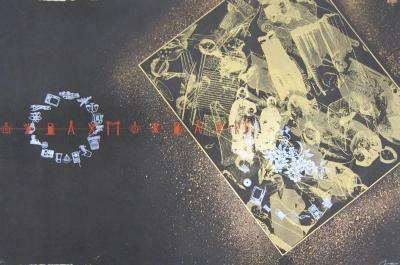 Tomie Arai, Messenger , Silkscreen, A/P, 17.25 in X 14.75 in, 2011. 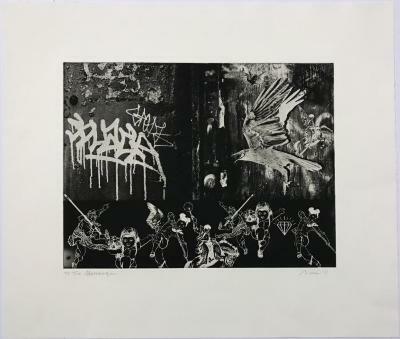 Tomie Arai, After the War, Silkscreen, 4/6, 22.5 in X 8.125 in, 2009. 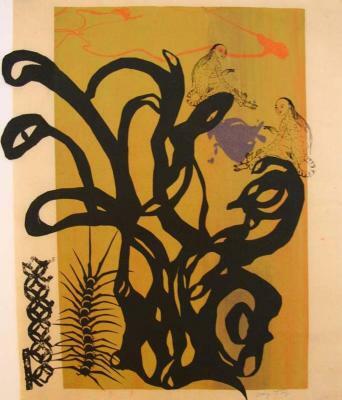 Tomie Arai, Dreamer, Silkscreen, 22.5 in X 30 in, 2008. 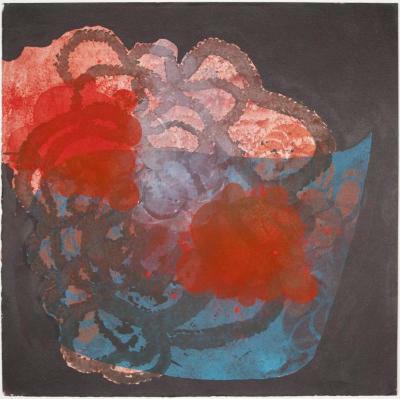 Tomie Arai, Untitled, Silkscreen Monoprint, 19.25 in X 30 in, 2011. 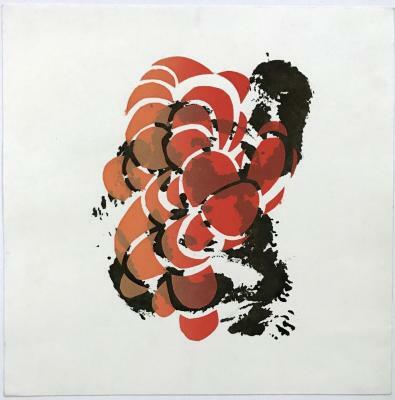 Tomie Arai, Leap, Silkscreen Monoprint, 2 in X 12 in, 2008. Mildred Beltre, What is to be Built #1, ink, pigment on paper, 12 in X 12 in, 2011. 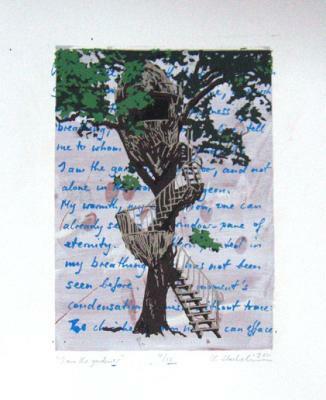 Mildred Beltre, What is to be Built #5, Silkscreen & ink, 8 in X 8 in, 2011. 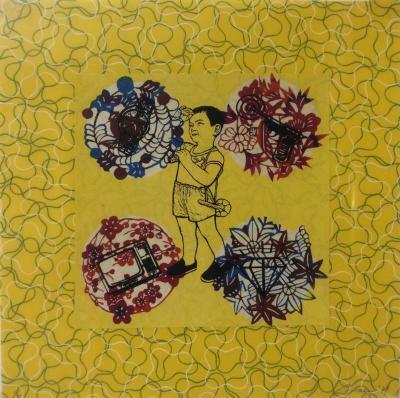 Mildred Beltre, What is to be Built #6, Silkscreen & ink, 8 in X 8 in, 2011. 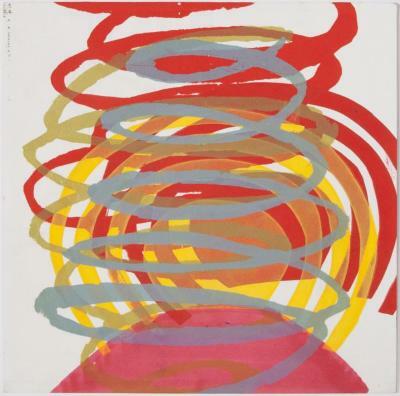 Mildred Beltre, What is to be Built #7, Silkscreen, 6 in X 6 in, 2013. 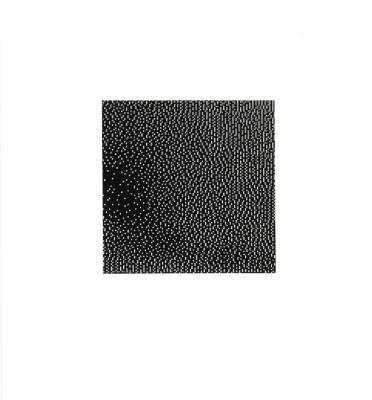 Barb Bondy, Shimmer, Silkscreen, 11.75 in X 10.875 in, 2012. 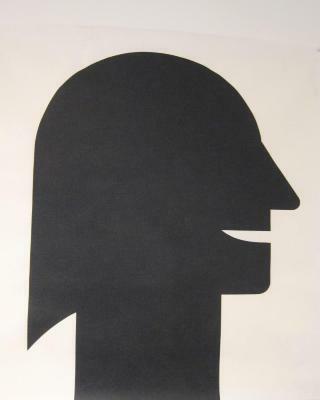 Georg Ettl, Untitled, Screenprint, 34.5 in X 35.25 in, 1989. 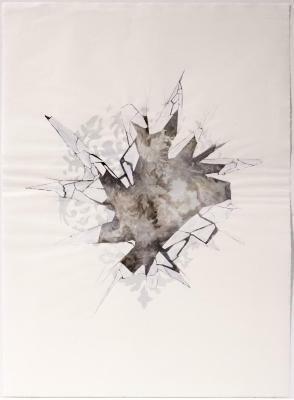 Joanne Howard, Ice Study #2, Silkscreen, watercolor, pencil on paper, 30 in X 21 in, 2007. 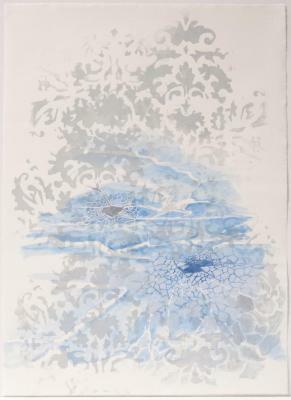 Joanne Howard, Ice Study #3, Silkscreen, watercolor, pencil on paper, 30 in X 21 in, 2007. 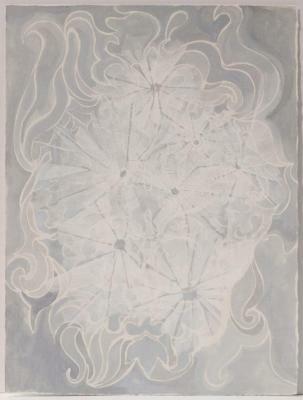 Joanne Howard, Ice Study #4, Silkscreen, watercolor, pencil on paper, 30 in X 21 in, 2007. 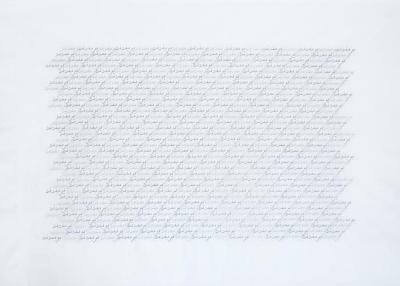 Joanne Howard, Wallpaper Study #10, Silkscreen, acrylic, pencil on paper, 15 in X 11 in, 2007. 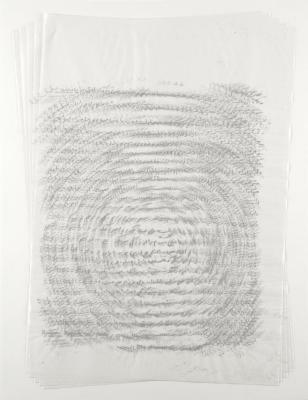 Joanne Howard, Wallpaper Study #16, Silkscreen, acrylic, pencil on paper, 15 in X 11 in, 2007. 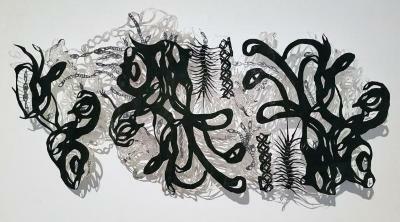 Elise Kaufman, Altered Refinery, silkscreen (aluminum and graphite), 16 in X 21 in, 2007. 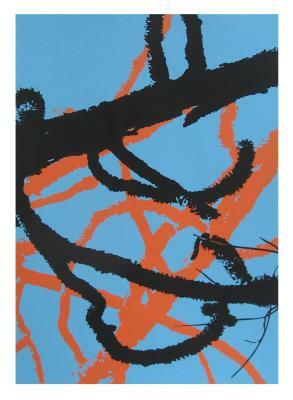 Elise Kaufman, Sugar Refinery (Memory), Silkscreen, X , 2007. Plant Book, edition 1/7, silkscreened day-glow green ink on paper bound, 8.188 in X 5.188 in, 2004. 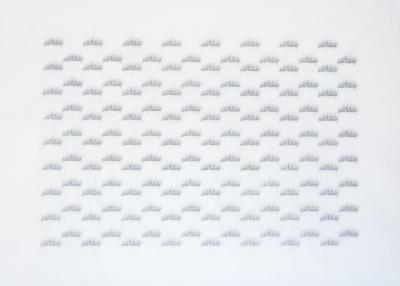 Florence Neal, Alabama Runes #4, Silkscreen, 14 in X 9 in, 2009. Debra Pearlman, Some Girls, With Glitter (Pink), Screen print, ed. 20/20, 10 in X 23 in, 2007. Debra Pearlman, Some Girls, With Glitter (Green), Screen print, ed. 16/20, 10 in X 23 in, 2007. 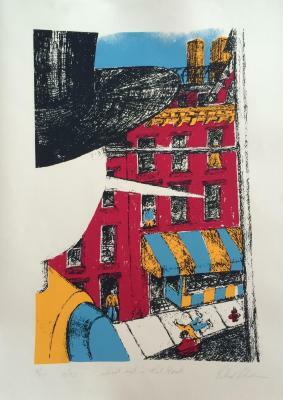 Debra Pearlman, Some Girls, With Glitter (Blue), Screen print, ed. 20/20, 10 in X 23 in, 2007. Debra Pearlman, Some Girls, With Glitter (Purple), Screen print, ed. 20/20, 10 in X 23 in, 2007. 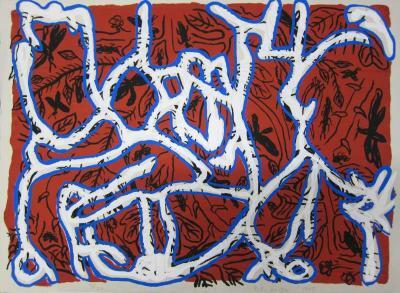 Alyce Santoro, Upside Down LIFE, Silkscreen, 7.5 in X 4 in, 2006. 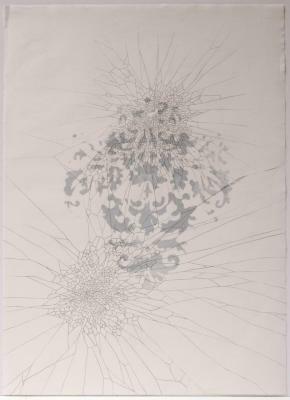 Kiki Smith, Untitled, Silkscreen, ed. 8/26, X , 1985. 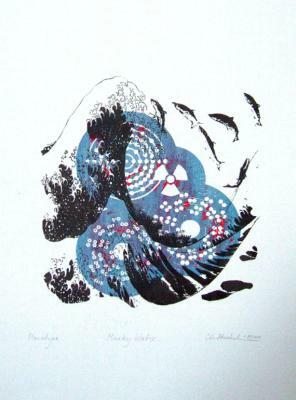 Christine Staehelin, Murky Water (blue), Silkscreen, 15.25 in X 22 in, 2010. 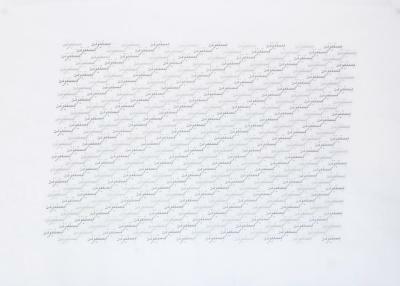 Christine Staehelin, I am the Gardener, Silkscreen, 14 in X 17 in, 2011. 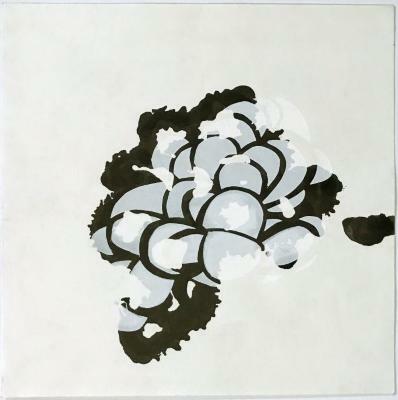 Mary Ting, The Other Garden, Silkscreen, 16 in X 14 in, 2007. 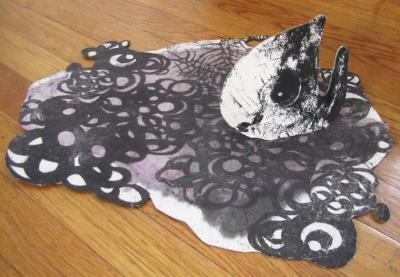 Mary Ting, GWAAH, Silkscreen, 13 in X 6 in, 2008. Mary Ting, Centipede Gardener, Silkscreen, cutouts, stamps on Tyvek, 17 in X 34 in, 2009 – 2017.